PLA.NET is a Levigmatic project and brand and was created in 1988 from the passion of experienced workers specialised in working steel for the professional food-service industry. We are located in north-east Italy and more specifically in north Treviso in the industrial district of Conegliano, where the development and production of kitchens, household appliances and equipment for the professional food-service industry is rooted. Over time, the company began to specialise in the processing of stainless steel and in the production of professional cooktops and cooking hobs. 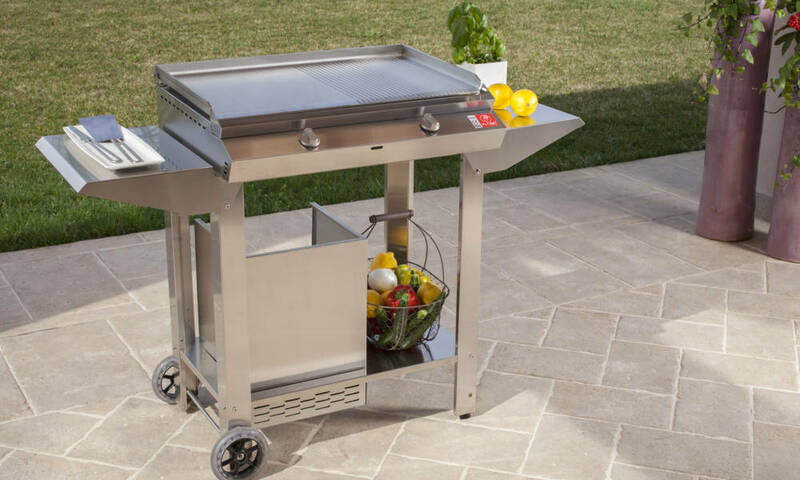 Its technical and production experience is transferred entirely to the PLA.NET barbecue grills, a true professional cooktop available to everyone. The quality of the workmanship, attention to detail and aesthetics, the love for good food typical of this land for centuries, are a valuable part of these products strictly made in Italy. The experience in professional heating systems and materials is applied to dimensional solutions tailored to meet the needs of individuals, families, with the aim of offering consumers a reliable and durable product, which improves the quality of the food and promotes conviviality without sacrificing the time and effort of those who are in charge of cooking. We have been manufacturing stainless steel cooktops for the outdoors since 2005. 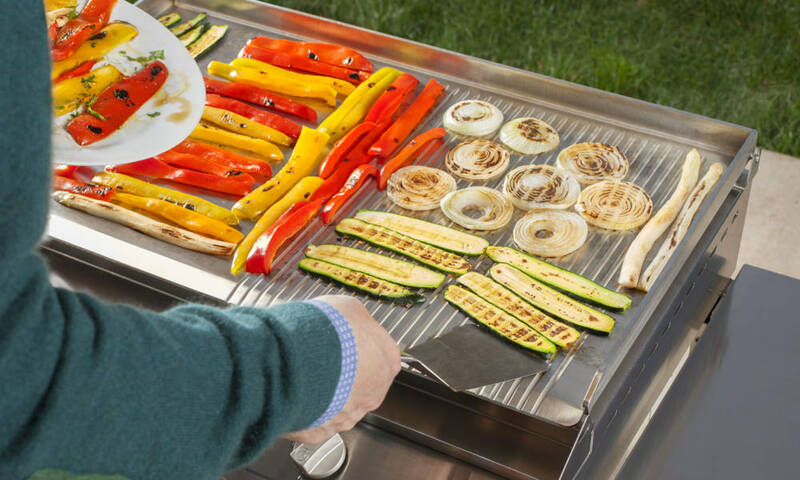 Called Plancha in Spain and France and Teppanyaki in Japan, the PLA.NET cooktop is not a traditional barbecue but a gas or electric stainless steel surface that can be used outdoors and that heats up quickly for a healthy, tasty, smoke-free and eco-friendly cooking experience. 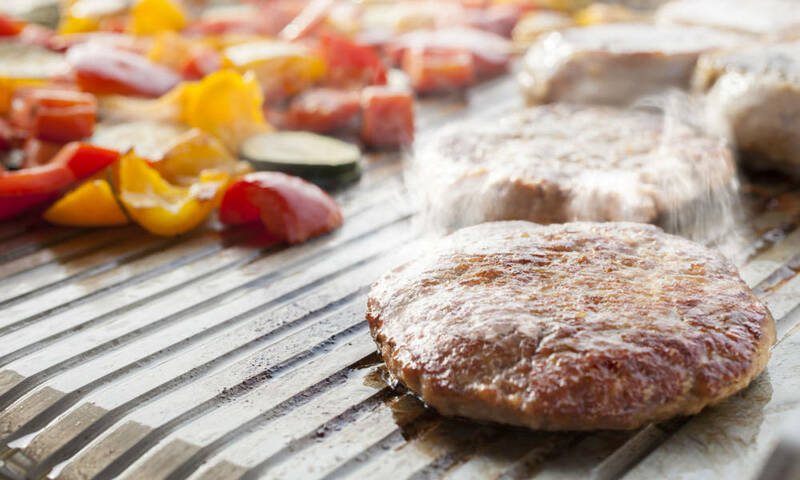 Cooking requires the use of hygienic materials that don’t alter the flavours of the food but enhance them, and that conduct heat well to allow surfaces to reach temperature quickly, but also to maintain lower temperatures. An outdoor product needs durable and low-maintenance materials. 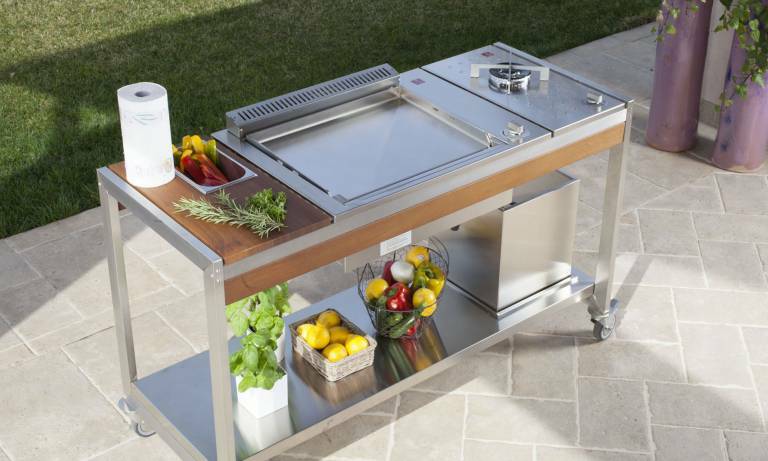 Only stainless steel can meet these requirements. There are now many types of stainless steel that have been designed by steel companies for many uses and destinations, such as constructions, homes, naval products, machinery, chemical or industrial plants, and household products, each at a very different cost. The stainless steel used to make a good knife is not the same as that used for ships or for a chemical plant, since they require different needs and performances. A knife needs to be well-tempered in order to be sharp and flexible, naval products must be stainless and hard, chemical plants must ensure resistance to particular chemical products ….none of these conduct heat well…but there are other stainless steels that are designed to combine characteristics such as resistance to oxidation, hardness and heat conductivity. INOX 316: maximum resistance to oxidation and good heat conductivity. 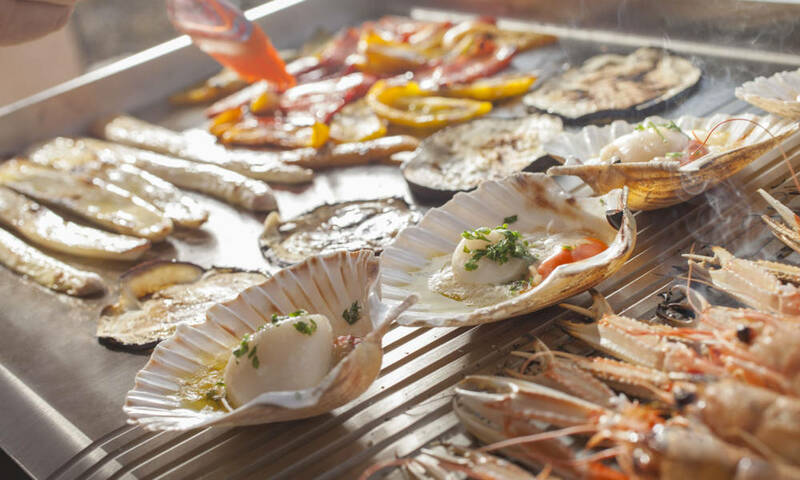 The PLA.NET gas products are certified by specialised entities that conduct specific tests based on the intended use to ensure that the barbecues meet the international standards. PLA.NET offers a range of products for outdoor use, but also for inside the home such as the OASI built-in products. There are also different certifications based on the geographic destination markets. CE certified products are intended for European countries and CSA/UL certified products are for the USA – CANADA market. 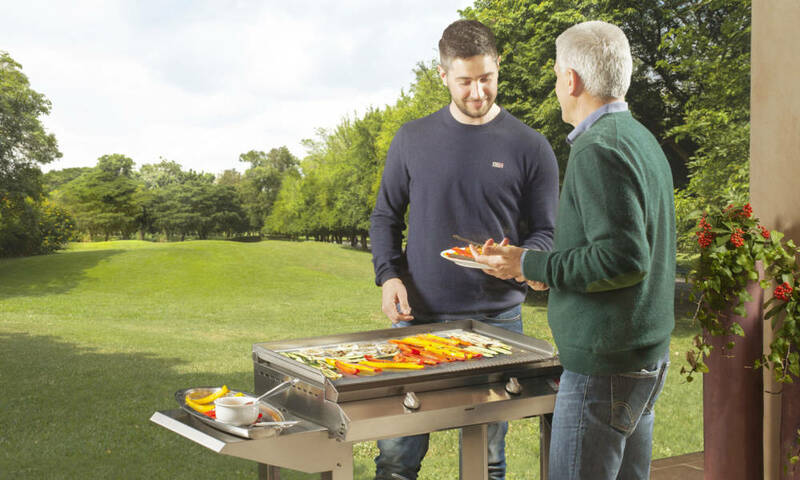 Special manuals supplied with the product describe the destination markets for each country with technical information on how to install and operate the barbecue. PLA.NET is a Levigmatic Srl project and brand created in 1988 from the passion of experienced workers specialised in steel working for the professional food-service industry. The PLA.NET products are covered by a legal warranty. PLA.NET offers the entire warranty to the first owner, in accordance with the specifications in the user and maintenance manual, based on normal use by the consumer. Contact us for more information.